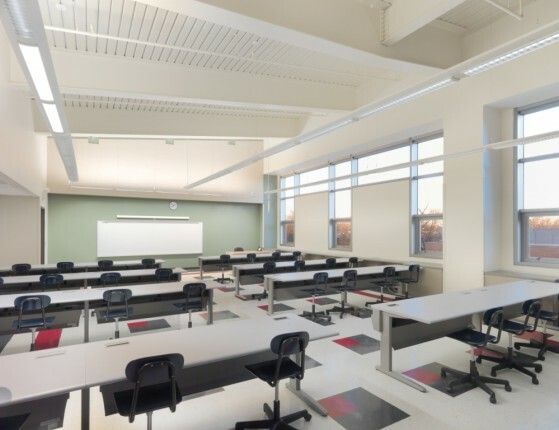 The Public Building Commission of Chicago, on behalf of Chicago Public Schools, retained Bauer Latoza Studio to provide Architect of Record Services for the implementation of a new two-story linked Annex at the Onahan School on Chicago’s northwest side. 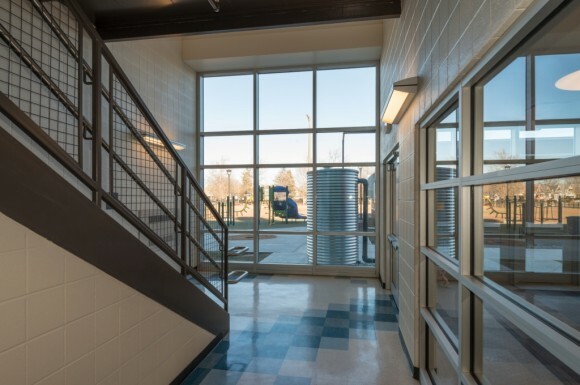 The addition serves approximately 300 students and includes nine classrooms, one computer classroom, a new elevator, offices, and ADA toilet facilities. 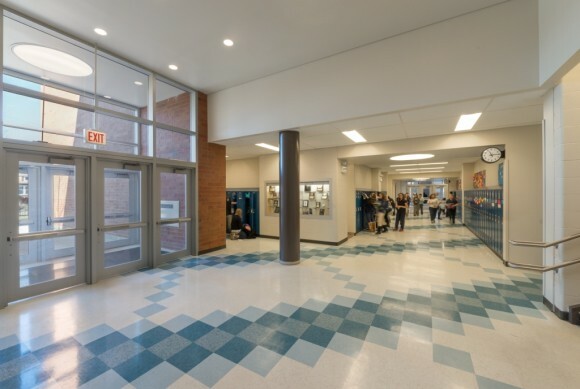 The project scope also included the renovation of select areas within the existing school as well as site improvements, a new playground, and a new permeable-paver parking lot. 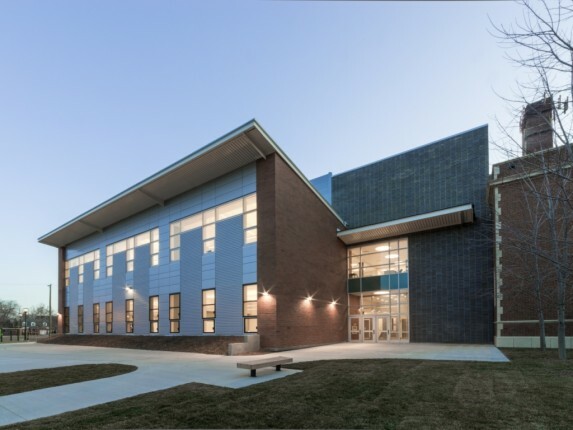 The project was designed in an accelerated schedule and required extensive coordination with the site and original school building systems. 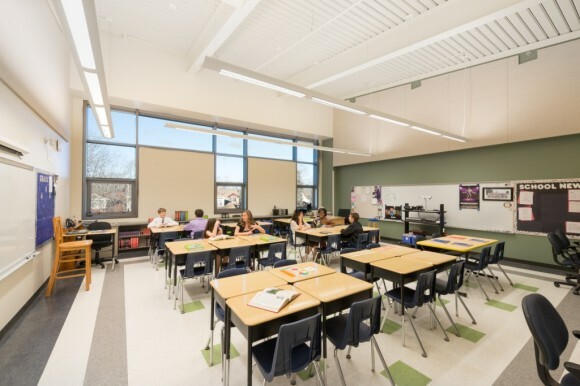 Colors and finishes were carefully selected to provide the most optimal environment for learning.